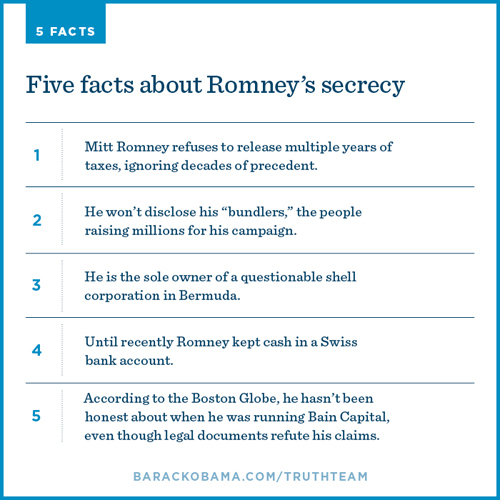 Barack Obama’s campaign have released a Twitpic-friendly sized ad which makes five finance-related attacks on Romney. It’s very simple and very brutal. The cleanliness of the art direction means that the attack doesn’t come across as too mean. And the uncomplicated nature of the language in the copy gives the assertions weight.